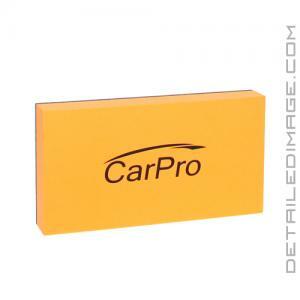 Great replacement applicator pad that is included with many CarPro products! 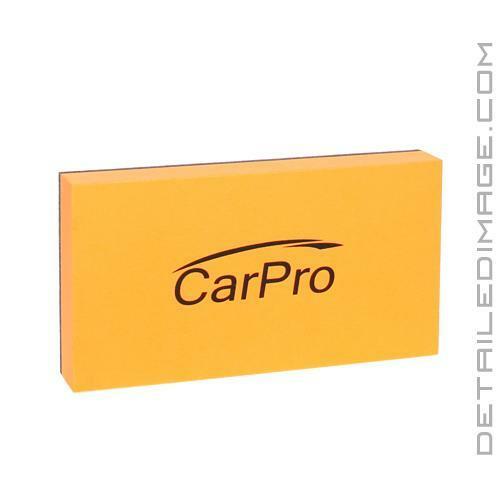 Pair it with the CarPro Suede Microfiber Cloths for easy and even application of your favorite coatings! 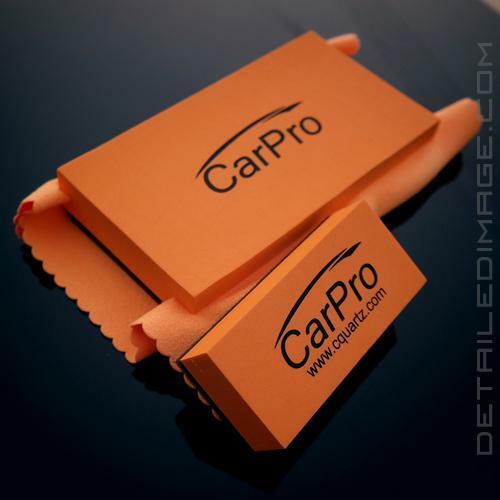 The CarPro Cquartz Applicator is a direct replacement for the applicator that is included with many CarPro products! This pad is made from stiff orange foam on one side and a grey ultra-soft applicator foam on the other. Use to apply the CarPro DLUX Plastic and Wheel Coating, CarPro Cquartz UK Edition, CarPro Cquartz Ceramic Quartz Paint Protection, and more. 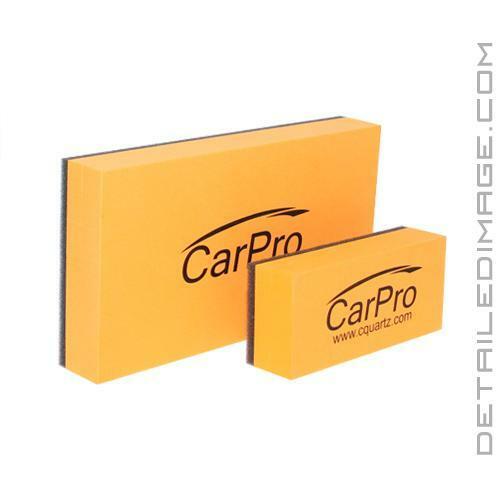 Pair it with the CarPro Suede Microfiber Cloths for easy and even application of these products! If you are using this applicator with something other than Cquartz, do not use the same applicator for application of any other coatings. Immediately after use gently rinse the grey side of pad, press dry, and allow to air dry completely before next use. If you are looking for a great two sided applicator pad pick up the CarPro Cquartz Applicator today! Standard - 3.5" x 1.5" x 1"
Large - 6" x 3" x 1"
Perfect size applicator base for applying coatings. Favorite applicator base for applying coatings. Just the right size and feel. Best coating applicator I have found. It's the perfect size, (optimum applicator is too big, 22pl's is too small) it is soft enough to glide across the surface, yet doesn't absorb the product, so you get nice coverage. The only drawback I have is it's very rigid so getting into tight spaces is tricky or impossible.